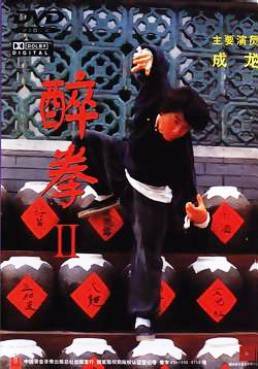 Drunken Master 2 a film made by Jackie Chan in 1994 was not with out it's troubles but still manages to be the best film Jackie has ever made even though the Director Lau Kar-Leung fell out with Jackie and the producers as to how some scenes should be shot from Jackie's point of view which resulted in Leung walking off the set taking with him the man that Jackie was to fight at the end 'Britons own Mark Houghton who was a student of Lau Kar- Leung.This resulted in Jackie having to take over direction mid way through and find a replacement combative for the ending . He did not have far to look as Jackie's own Body guard Ken Lo was ideal for the job and was a power house kicker. Now Jackie plays a teenage Wong Fei Hung the legendary folk hero who fought for the Chinese way of life and preserving it . When people within the British Consulate are in deals to smuggle out Chinese treasures Wong Fei Hung is set to stop them along with a patriot in the form of Lau Kar - Leung who Fei Hung meets on a train . When Fe Hung attempts to hide Ginseng in other passengers luggage to avoid his Father (Wong Kei Ying) paying Taxes 'here played by Kung Fu legend Ti Lung who runs the clinic Po Chi Lam. When An ancient seal gets mixed up with the ginseng the patriot Fu Wen Chi tracks down Fei Hung to Po Chi Lam and together they try and put a stop to national treasure;s being stolen. Of course along the way Fu Wen Chi is killed ,Fei Hung poisons one of his fathers Patients and gets thrown out and in a bid to make things right Fei Hung breaks in to the British Consulate with a friend only to be caught and released only when his father signs over Po Chi lam land which he leases to the local people who will now be made homeless ,so trouble is at foot. Now from a DVD point of view this is the Thakral print which was released in China in 1998 and is Cantonese with English Subtitles which is the perfect way to watch this film ,although the print is a little grainy and speckled i still prefer this over the Warner Home Video print of which there are two ,one in Cantonese and Japanese with Chinese subtitles No English or the Cantonese and English Dubbed version with only Chinese subtitles and both missing scenes. 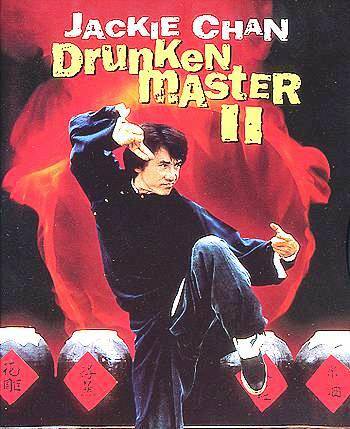 There is one other print released in the States as The Legend of the Drunken Master by Beuna Vista again this is dubbed and has a different soundtrack and again is cut and No Cantonese with English Subs. From a film point of view Jackie made this 14 years after the first Drunken Master and it's fantastic to think he could do all this at this time the film was made at a time of the new wave of Hong Kong period films which used a lot of wire work and this film uses none, this is pure Kung Fu done for real and having recently seen Ong Bak 2 and Tony Jaa's take on drunken boxing i have to say there's only one Drunken Master in this world and it's Jackie Chan . If your a Chan fan and have not seen this film in one way or another then your not really a Chan fan. i Don't understand why the UK has not had this picked up for release over here . There is no restored print out there with extras and multiple soundtracks and subtitles like Hong Kong Legends used to do . Please some one do justice to this film and give the Fans the version they deserve with out having to scour the internet for this full but slightly grainy print. Which the chances of you finding are pretty scarce as any fan that has it is not going to part with it,unless you offer them £100.00 OR SO. To sum up Jackie at his best but i am sure he will still amaze me in ten years time. The USA release poster ,which is awful really.